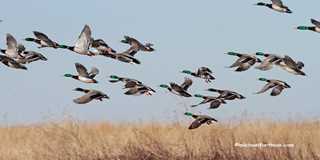 The Mississippi Valley Duck Hunters Association (MVDHA) was formed in St. Louis, Missouri, in 1956 to promote conservation and ethics among duck hunters and safety and order on the Mississippi River. Over the years, the group has served as a unified voice for waterfowlers in the area and has been called upon to provide insight and recommendations to the U.S. Fish and Wildlife Service and Missouri Department of Conservation (MDC) regarding waterfowl regulations and conservation. 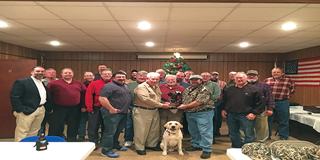 Once the turmoil surrounding local hunting settled down, the group focused more on passing on waterfowl hunting traditions and supporting conservation. 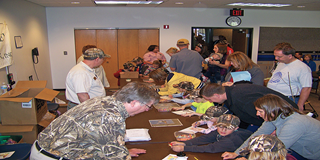 The MVDHA has worked closely with Ducks Unlimited for many years to raise money for wetlands conservation and support area youth and education programs. Their largest fundraising effort was the group’s whiskey decanter series, designed by an MVDHA member and produced by Sky Country Ltd. The sale of these decanters from 1978 to 1981 raised more than $100,000 for DU’s habitat work in Canada, including the Sharp Lake and Arrow Marsh projects in Manitoba. At one of the MVDHA’s recent monthly meetings, DU Director of Development Mike Checkett recognized the group for reaching the status of DU Legacy Sponsor. The 100-member association holds two fundraising events each year that help them support DU conservation programs and local youth programs. “We support DU because DU supports the ducks,” Wende explained. As participants in the annual Wetlands for Kids Day hosted by Ducks Unlimited and the MDC at the August A. Busch Memorial Conservation Area, MVDHA members provide children with the opportunity to practice their marksmanship with foam dart guns. The event attracts between 800 and 1,200 children and their parents each year on the first Saturday in April.